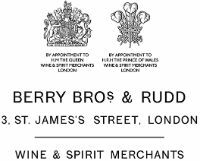 In the middle of last year, I was invited along to a very special tasting with Jonny McMillan, the assistant spirits buyer at Berry Bros & Rudd. Actually, it wasn’t so much of a tutored tasting, more of an in-depth cask sample analysis session with the who’s-who of Edinburgh’s whisky retailers and on-trade outlets. Those present included representatives from Jeffrey St Whisky and Tobacco, Bennets Bar, The Blue Blazer, The Bow Bar, Kilderkin, Royal Mile Whiskies, Usquabae Whisky Bar, Whiski Rooms and The Whisky Trail. At the time, I was the General Manager of Usquabae in Edinburgh’s West End. 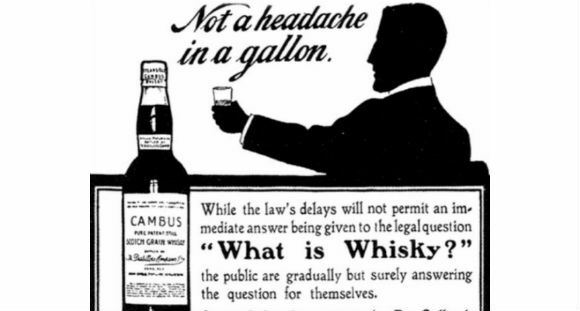 Over the course of a gloriously sunny, late-June Tuesday afternoon in the Bow Bar, we came to the unanimous agreement that our favourite whisky was a 1991 single cask, single grain Cambus. Fast forward a few months and, with the whisky now bottled, it was time for it to be released… but to a very specific market. This whisky was ‘Bottled for Edinburgh’, and, as such, is only available from Edinburgh-based retailers or in selected Edinburgh bars. If you fancy tasting it, you need to make your way to our fine city and try it in one of our fine drinking establishments, or order it online from somewhere like Royal Mile Whiskies. Alternatively, if you want a one-off bottling, signed by Elizabeth Berry and Simon Rudd, as well as a 6 dram tasting for you and ten friends hosted by Mr McMillan himself, you need to get on over to Royal Mile Whisky Auctions (my new place of work) where one very such lot is being auctioned for charity; the full hammer price will be donated to the Simpson Maternity Centre at the Royal Infirmary of Edinburgh. Go on, head on over, sign up and place a bid. It’s a great prize and hey, it’ll be your good deed for the day. If all of the above isn’t persuasive enough, here’s my take on the whisky. Nose: Caramel, vanilla fudge, butterscotch Angel Delight, banana fritters, coconut, tinned peaches and pears, honey on toast, sawdust. Big, sweet and enticing. Palate: Toffee pennies, caramel barrels, custard creams, vanilla pods, and Jammy Dodgers. Then the fruit comes through – peach, apricot, apple and stewed rhubarb – which is underpinned by some white pepper, cinnamon, nutmeg spice along with a bit of cask stave. Finish: Tingling woodspice, drying oak and a honeyed sweetness. Overall: Just shows what grain whisky can be like if it’s left for a decent amount of time in good quality wood. Full of sweetness and fruit, and balanced nicely with some weighty oak and spice. A very, very tasty Cambus. Go on, place a bid and see what happens. If the other 5 drams in Jonny’s line-up are as good as this, you’ll be in for one helluva tasting. This entry was posted	on Saturday, January 20th, 2018 at 12:05 pm	and is filed under Reviews. You can follow any responses to this entry through the RSS 2.0 feed. You can leave a response, or trackback from your own site.